Police and other law enforcement officers perform many different duties that help keep us all safe and secure. On any given day, they might respond to an emergency call, help someone stuck on the side of the road, write a ticket, apprehend a suspect or just spend time building relationships with members of the community. Those careers can be pretty challenging. To succeed, you have to be a strong communicator, critical thinker, physically fit, and capable of exercising empathy and discretion. 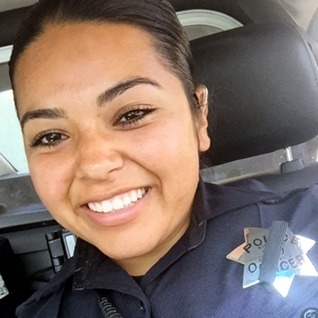 Law enforcement jobs in California—and particularly in the Bay Area—tend to pay very well. And, a steady stream of retirements means a regular flow of new job openings. Check out our online Career Coach for more information about becoming a Police Officer or Deputy Sheriff, like how many jobs are available and how much they typically pay. Keep in mind that those aren’t the only jobs available to people with training in the Administration of Justice, though. Correctional facilities and private companies hire guards and other people with similar training. You can also use the Career Coach to learn more about some of the many other law enforcement jobs out there, and the specific certificates and degrees needed to get them–including what you could do if you continue on to a four-year school. Whatever you plan to do, Contra Costa College is a great place to start. We offer associate degrees and certificates of achievement in corrections and law enforcement, as well as certificates in several areas of specialization. But in our program, you will get more than an academic background. You’ll also get hands-on experience actually doing the things that peace officers do every day. You’ll learn how to use a baton and handcuffs, and how to take finger, foot and tire prints by actually doing it all. We even have a state-of-the-art firearms training simulator. Our curriculum is aligned with the California Peace Officer Standards and Training learning domains, and stays up-to-date and relevant thanks to strong relationships with local law enforcement. Our active board of advisers includes representatives from the Richmond, San Pablo, Concord, Brentwood and El Cerrito police departments as well as the county probation and District Attorney’s offices. In fact, a large percentage of the officers working at our local police departments started out right here. So why not check out the program, see if we can help you pay for college or even get the ball rolling and apply now? Carmen Santana, Administration of Justice major, class of 2013.